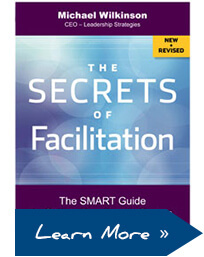 Learn the key skills that separate great facilitators from good ones! What is it that separates great facilitators from good ones? What is it that great facilitators do that keeps training sessions and meetings focused, energetic, engaging and results oriented? Through training over 23,000 people in facilitation skills, we have identified what we believe are the seven key skills that distinguish the best facilitators from the rest of the pack. In this fast-paced, dynamic session, you will have an opportunity to see, experience and practice the “Seven Separators” of great facilitation. While beginning facilitators will find this workshop helpful, the workshop’s content is intended for veteran facilitation practitioners. This highly interactive session has you working in teams from the start to discover what separates great facilitators from good ones. Our instructors employ advanced facilitation techniques to keep you engaged while you learn powerful techniques you can use right away! As you review the seven separators, the instructor models the techniques and then gives you the opportunity to practice and gain feedback. Through this modeling, practicing and feedback cycle, you build confidence inside the classroom to use the techniques outside the classroom! With a group of eight or more people, a private class may deliver a better value. With a private class on The Seven Separators of Facilitation Excellence, we can customize the course and bring the techniques and tools you need to conduct a virtual meeting to you, at your convenience. Find out how we can tailor this course to meet your needs.